Follow closely the events of the next few days, as the World Economic Forum's Annual Meeting in Davos, Switzerland, gets under way. Coming from the head of the continent’s biggest bourse, his comments in themselves reflect another change. Gone are the days when it was Nelson Mandela’s post-apartheid South Africa that hogged the African limelight. Angola is pushing Nigeria hard for the crown of Africa’s biggest oil producer. Ghana is due to start pumping crude this year, while Uganda is aiming for production of 150,000 barrels a day by 2015, following the discovery of oil near Lake Albert. Besides new technology, Chinese involvement and resurgent commodity prices, another difference in the Africa of today is improved macroeconomic management. Major debt relief after the turn of the millennium helped many African countries spend on schools, roads and hospitals, while at the same time maintaining a tight grip on monetary policy with aggressive targeting of inflation. Double-digit inflation is rare. As well as increasing domestic borrowing and widening their tax bases, African governments are looking to tap outside appetites for the high-yielding debt that rapid economic growth is able to offer. Following in the footsteps of Gabon and Ghana, which launched frontier Africa’s first Eurobond in 2007, are planned bond issues from Angola, Kenya, Uganda and Zambia – all switching to external private sector finance rather than relying on aid. Zimbabwe, though, is a reminder of the elephants remaining in Africa’s room: political risk and corruption have not gone away, even though most African countries are now ruled by at least vaguely democratic administrations and the polarising framework of the Cold War has gone, limiting the spread of conflict. Africa continues to exert a stranglehold over the lowest rungs of world governance and corruption indices. Two-thirds of African countries scored less than three out of 10 for probity in Transparency International’s 2009 corruption perception survey — a big negative which continues to hurt their economies, according to its managing director Cobus de Swardt. A controversial oil and gas reform bill on the books in Nigeria has raised wider concerns about resource nationalism. Kenya, the biggest economy in east Africa, is struggling under an unwieldy coalition government cobbled together after mayhem and bloodshed followed disputed elections at the end of 2007. A guerrilla ambush on the Togolese soccer team this month, travelling through the Angolan exclave of Cabinda to a soccer tournament, shows how fragile stability still is in many countries that have seen less than a decade of peace. And new challenges are constantly emerging: for example, now Nairobi is awash with talk of ill-gotten gains from Somali pirate gangs propping up the local property market. Nonetheless, for investors prepared for the long haul – and most dedicated African portfolio managers talk in terms of three to five years – Africa’s growth remains a compelling attraction, especially given stagnant economies elsewhere. 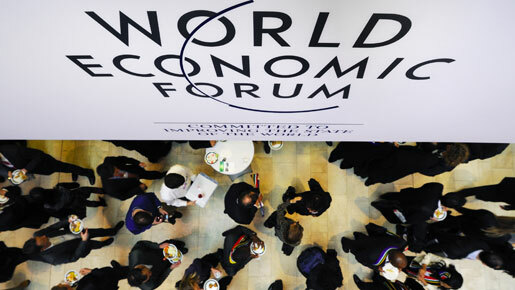 What can we expect from the World Economic Forum in 2015?